Where have all the customers gone? Long time passing. 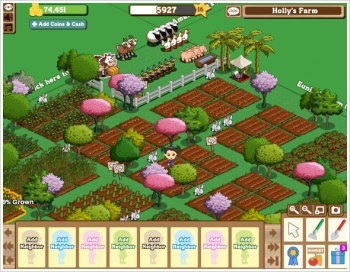 Zynga lost money in Q3, but at least it's only $68,000 in the hole, not the $52 million that it lost this time last year. Its share price perked up a bit at the unexpected good news, but Zynga hasn't got a lot to celebrate. It's still shedding customers at a rapid rate, despite adding several new games in Q3, and it's still predicting a loss in the next quarter; a net loss of somewhere between $21 to $31 million. But it's the customer loss that really ought to concern Zynga. It lost almost a quarter of its daily active users in Q3, a number which ought to sound suspiciously familiar to people who've been following the company's fortunes, since it lost roughly 25% of its user base in Q2 as well. Daily active users are down 49% year-on-year, while monthly active users are down 57% and monthly unique users are down 45% year-on-year. The people who used to play every day or every month, don't, and the ones who turn up just to see what's going on don't come back a second time. Revenue's also down, 40% year-on-year, but some of its debts can be attributed to one-off restructuring expenses - office closures, in other words - and it "also recorded a $10 million impairment charge related to intangible assets acquired in various previous acquisitions," according to the financial report. Online game revenue and advertising revenue are both down, compared to Q2 2013. "I am happy with the early progress we have made," says CEO Don Mattrick, "I am confident that Zynga is rewiring itself in a meaningful way that will strengthen the core of our business and put us back on track to achieve significant long term growth and profits." He may be; we shall see if anyone else is as confident in Zynga's future as Mattrick.